This is Part Three of a three part series giving you practical tips on how to feel more confident whenever you’re in front of the camera. I recommend you Read Part One and Part Two first! We’ve reached the third and final part of this series on practical tips to feeling confident and comfortable in front of the camera. If you’ve been reading along, you’ll know that we’ve covered off some practical tips for posing – what to actually do with your body parts, and tackled some of the emotional side of how to relax and enjoy the moment. In this post we’ll put it all together to show you how to get the best out of the most common type of photo we’re often required to be in – group photos. Think about it, other than the stack of selfies we have sitting in the cloud, really the most common photo we ‘have’ to be in is a group photo. Something to document an occasion, a family gathering, a wedding. These are the photos we often want as a marker point to remember that we are all enjoying an experience together. How many times have you all tried to squash in around your friends at a restaurant table or thrown your arms around your friends while someone takes a snap to document your moment together? On a wedding day group photos are one of the biggest parts of the photography timeline and something that the bride, groom and photographer work hard to make sure are documented properly. Group photos are important! Remember the physical stuff – stack yourself at a 45 degree angle from the camera, pop that hip, bend those limbs and most importantly, don’t be afraid to get close to the people you’re with. Seriously, actually put your arm around them and snuggle on in! Not only does it make the group photo look more cohesive, but usually the act of being closer than normal to someone brings one of two things – a sense of connection or it brings on the sillies. You’ll either snuggle in and feel right at home, or the both of you will crack up laughing at the strangeness of it all, either way you’ll start to feel a bit more relaxed. Pro Tip: Beware the phantom floating hand! When throwing your arms around someone for a photo it’s almost natural to put your hand on their shoulder – BUT it looks really weird when you can’t connect the hand to the person. Pop your arm around their waist instead and gently rest your other hand on their elbow or forearm if you’re on the end of the row. Remember the purpose of the photo – think happy thoughts and stay in tune with why you’re part of this photo in the first place! Look at the photographer (at least some of the time). This is a biggy for formal group photos! And a big thing for many people is feeling awkward about where to really look. It’s simple, just look directly into the eye of the beast – the lens of the camera. Failing that, look at the photographers head/hair/forehead. There is nothing more awkward looking in a photo than having people looking all over the place at nothing in particular. Stop Talking! I take it back – the only thing more awkward looking than having people looking anywhere but at the camera is having everyone with their mouths agape mid sentence. 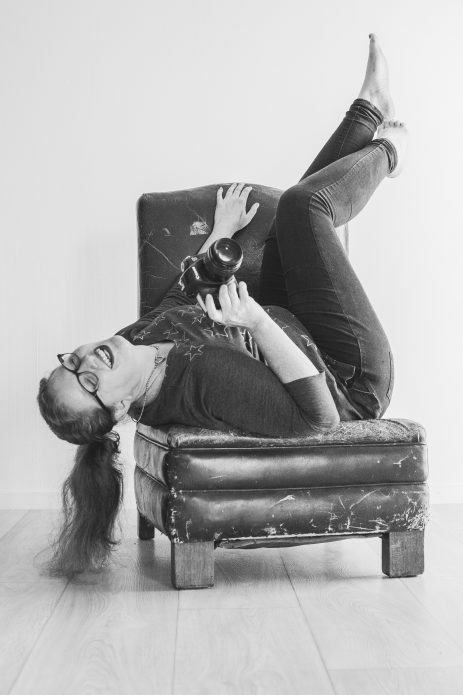 I get it – sometimes the nervous chatter helps take the pressure off what’s actually happening, and don’t get me wrong, it always makes for a great photo when you’re having a good time (laughing shots are almost always my favourite!). But take just a moment to breathe and give your photographer a second or two to get the shot. Don’t hide! Pleeeeaaase don’t be the phantom floating head at the back of the photo! Own your presence – because you are awesome. Above all, just try to have fun and enjoy the moment. I can’t stress enough the importance of not overthinking things! These tools are a great foundation in knowing what to do with yourself when you have a camera pointed in your direction but it’s not the be-all and end-all of posing. As I have mentioned earlier in the series, the very best photos happen when you’re having fun! So there you have it – this brings us to the end of this series of practical tips for feeling more comfortable and confident in front of the camera. I hope you found it useful! Tell me in the comments: When were you last in a group photo? Share this post with your friends if you found this series helpful!